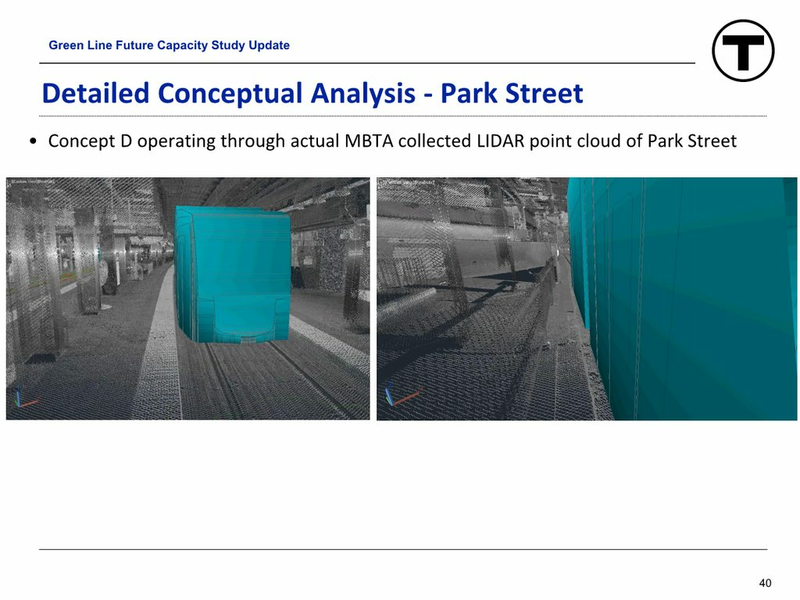 Are there any non-MBTA examples of subway / metro / light rail doors that are at least as wide as what we're going to have on the new Red Line / Orange Line cars? 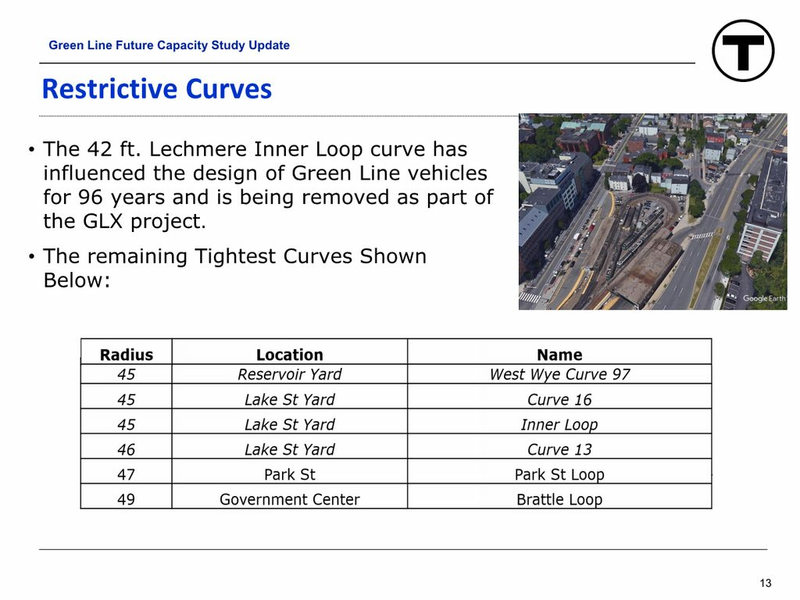 http://www.archboston.org/community/...512#post309512 has some discussion and a link to a thesis that has a whole bunch of detail on the tight curves; it seems to be the case that merely eliminating the Lechmere loop isn't nearly enough to run off the shelf light rail cars. 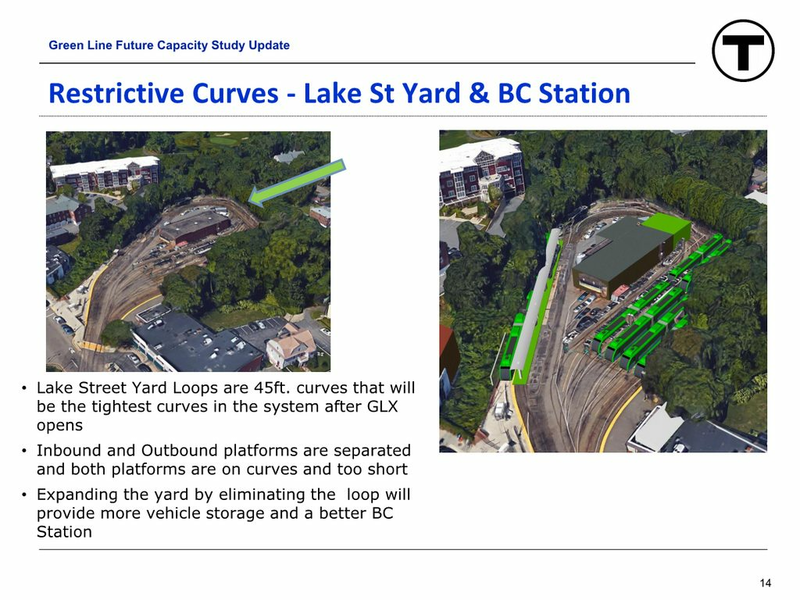 There's also discussion there that maybe there's a trade off where being able to handle a tighter curve radius might limit top speed to less than what ought to be achievable on the D branch. 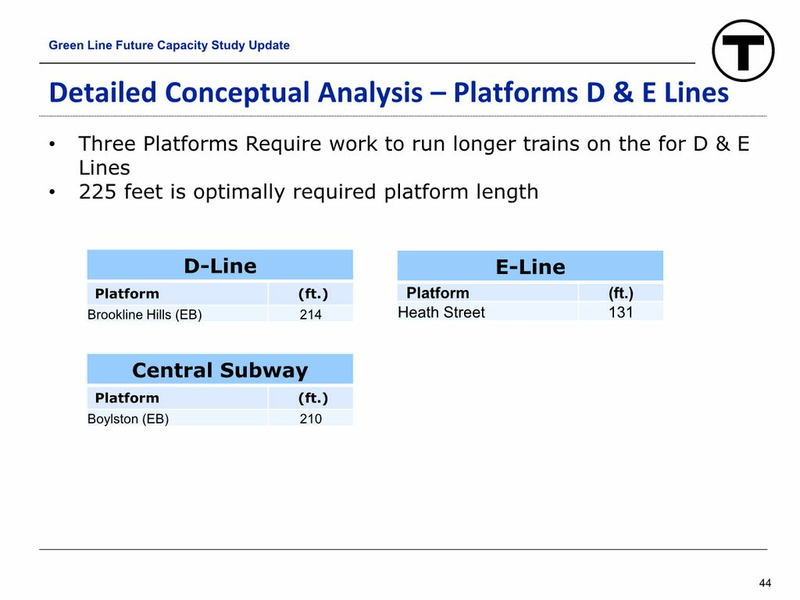 We should keep in mind that Boston has one of the busier light rail systems in this country, and that implies that rather than trying to copy the average US light rail system, we ought to be thinking about whether there are things we should be doing a bit differently to maximize capacity. 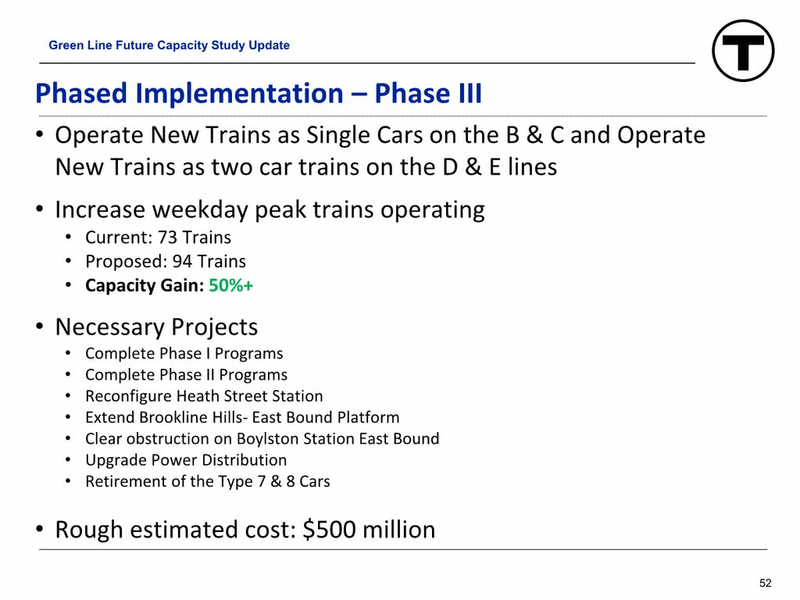 Given how busy the MBTA Green Line is, it might very well be appropriate for it to end up with the widest doors of any light rail system in the country. Yes. 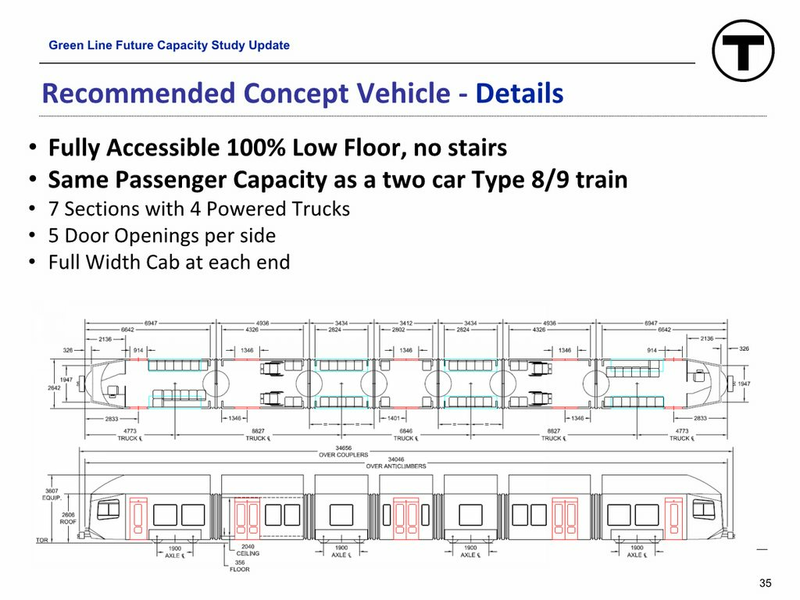 The NYCT R110A cars have 64 inch wide doorways, exactly the same as on the new Red and Orange Line cars. https://en.wikipedia.org/wiki/R110A_...ity_Subway_car) notes that they were removed from revenue service in 1999. And it appears that there was only a single trainset of R110A cars. Yes, that is correct. They were used to test the technology that would eventually be incorporated into the R142/R142A fleets. As for vehicles that are currently in service, I recall that most of the Hong Kong MTR heavy rail vehicles had doorways that were of similar width. They were much wider than other doorways that I had seen. I also believe that some of London Underground's rolling stock have some pretty wide doorways. 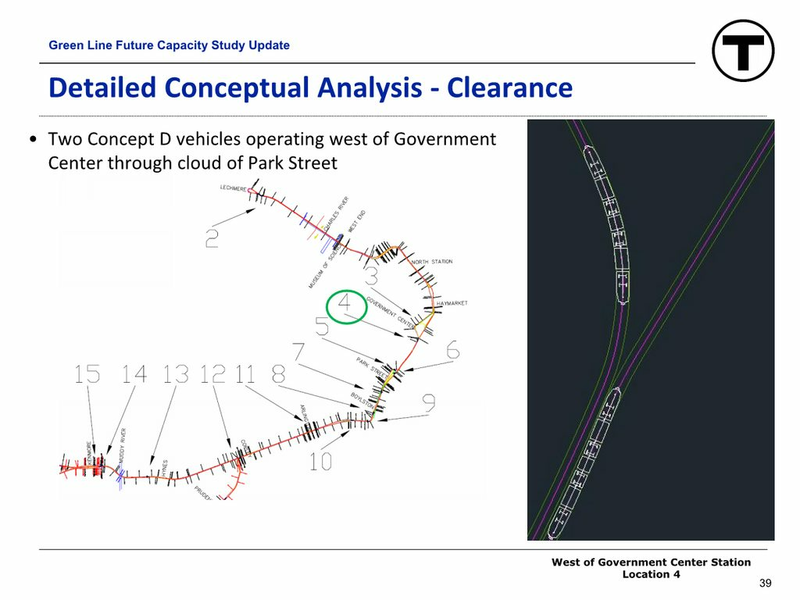 https://www.whatdotheyknow.com/reque...n%201.pdf.html lists some London rolling stock as having 1664mm door widths, which is around 65.5". 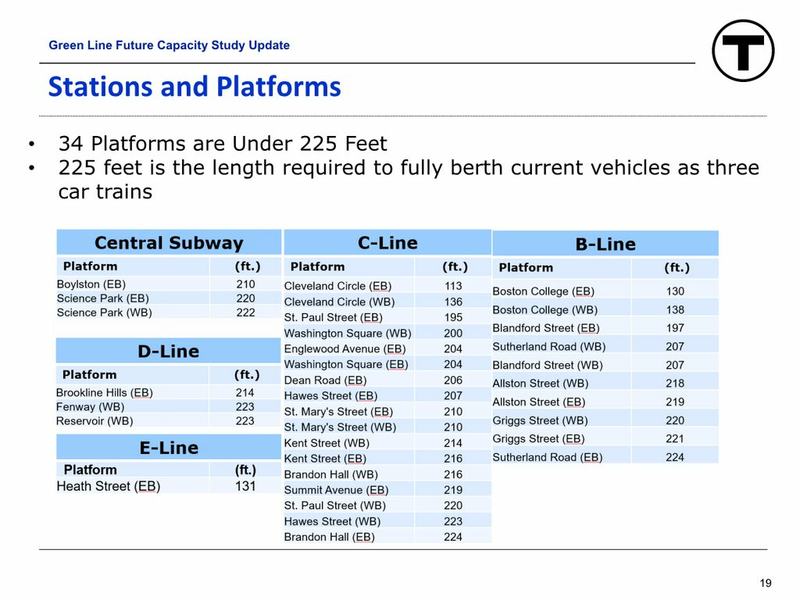 Even the newest trains on the Blue Line don't have doors that wide. 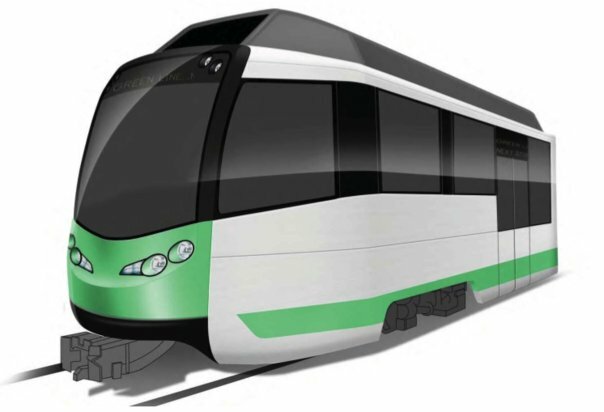 These are plug doors (the same style as on the Boeing LRVs and San Francisco's Bredas, but an improved mechanical design) that slide rather than fold. 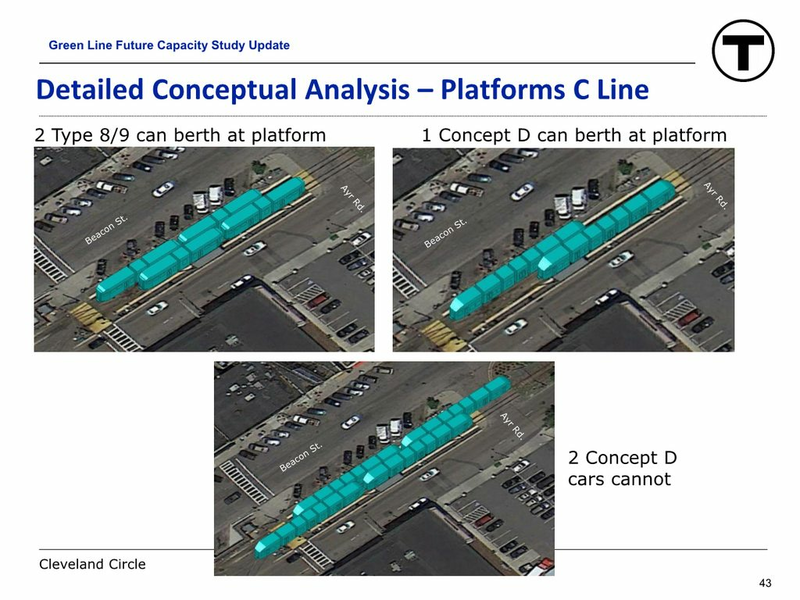 They're safer on the extremely narrow platforms on the B and C branches, and are compatible with 12" high platforms for true level boarding (which the MBTA will hopefully move to with the Type 10s). 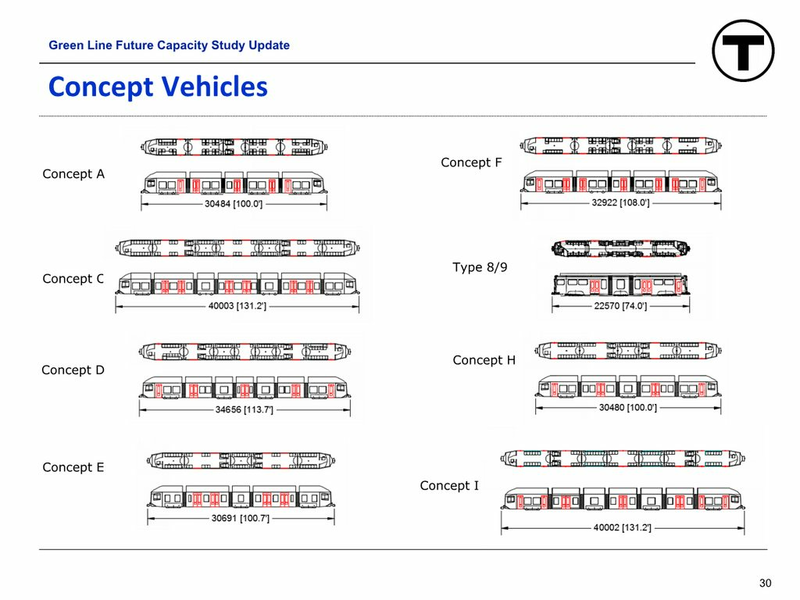 Likely the only modification necessary is a front shaped like the one on the Type 8 and Type 9 trains which is the only major change required right now to make the vehicles compatible with the curves. 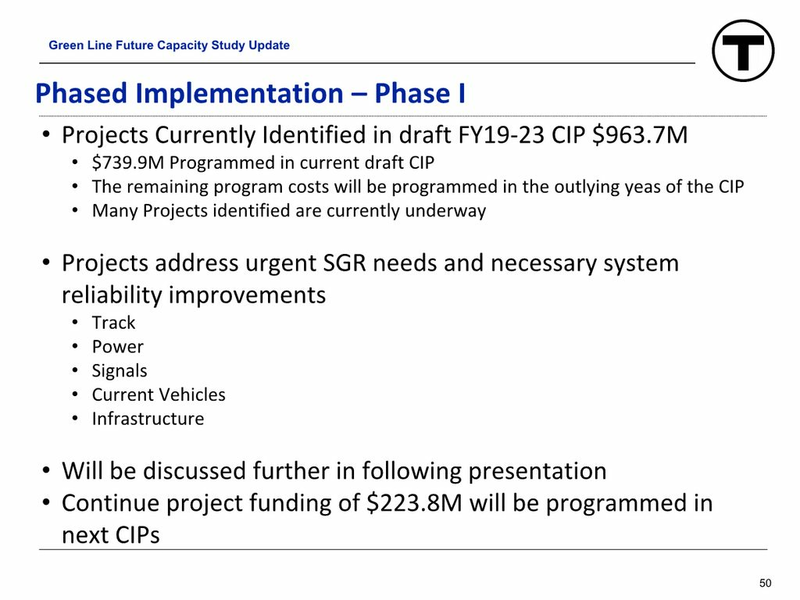 I don't believe that has any effect on top speed and that the speed limits are because of the Type 8's higher derailment risk. 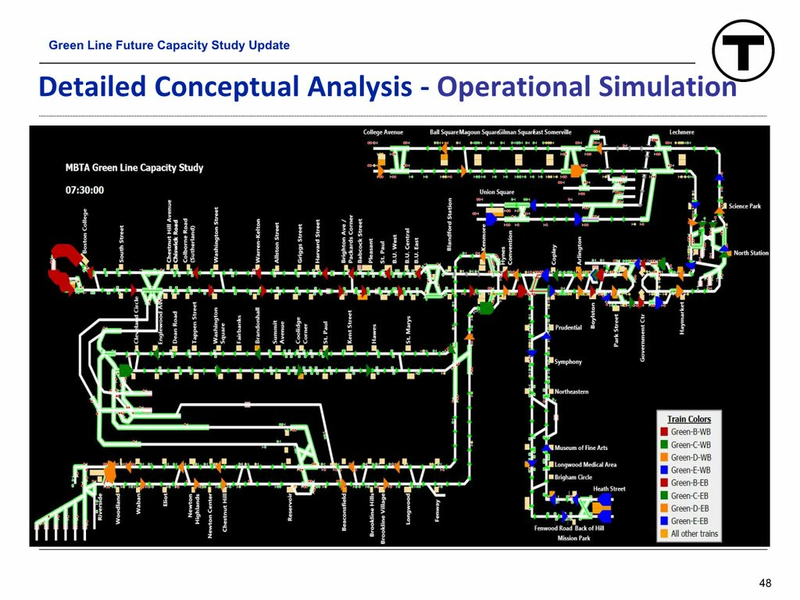 Boston does have by far the busiest light rail system particularly when comparing riders per mile. 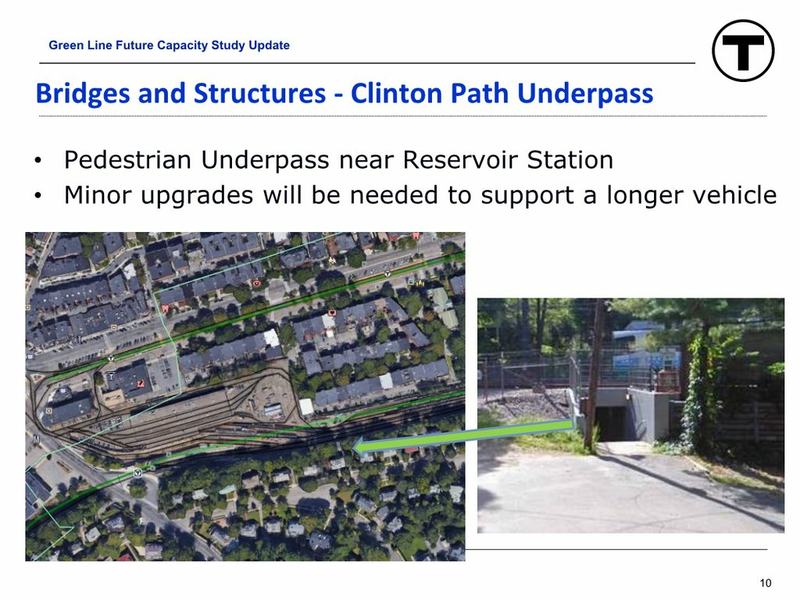 The green line actually has more riders per mile than any heavy rail transit system in the country other than the NYC subway, the PATH system, and the MBTA subway so I can see how having wider doors would be a benefit that should be considered as long as it isn't cost ineffective to buy custom equipment. There is always the risk of having more mechanical issues when making requests for more customization. 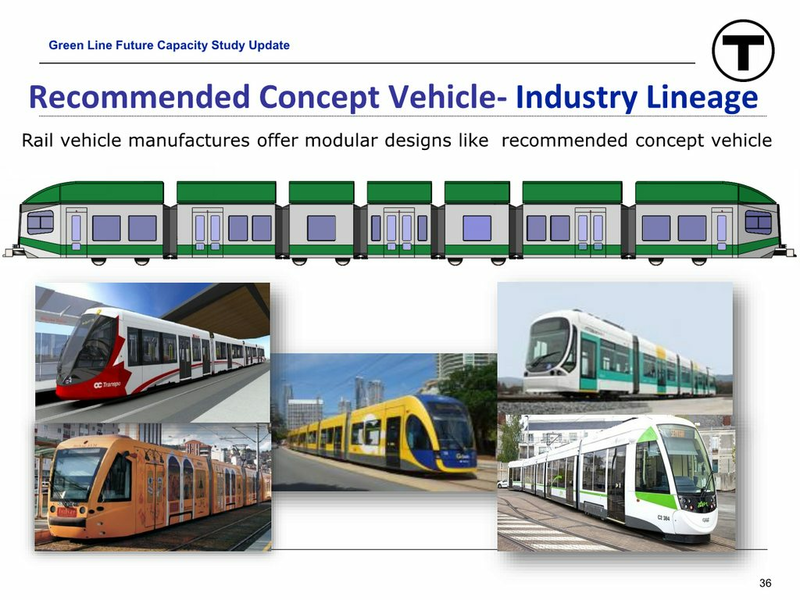 Likely the only modification necessary is a front shaped like the one on the Type 8 and Type 9 trains which is the only major change required right now to make the vehicles compatible with the curves. I don't think it is just the nose shape, but also the wheelbase and how long the un-pinched low floor can be that's the issue. 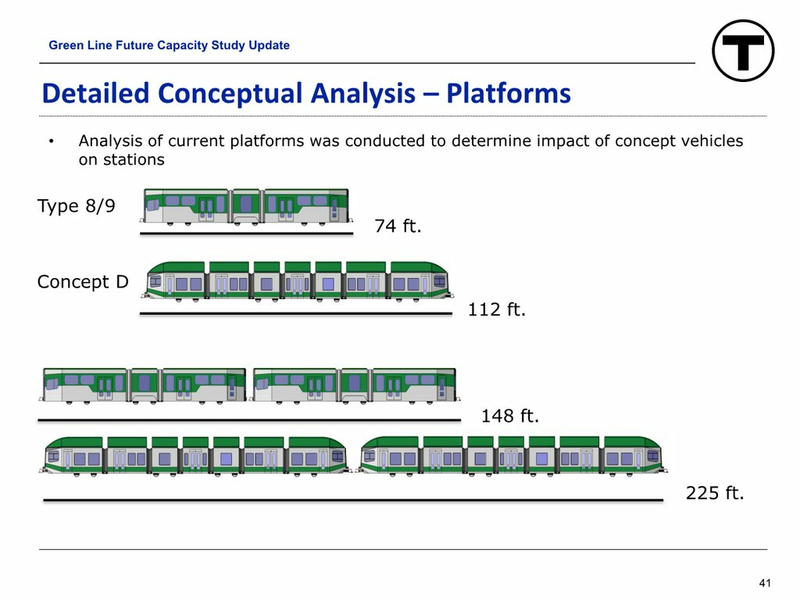 What would it take to get Type 10 to have two doors per side per low floor section? Two per side per end, (8 in total, both sides), versus the Type 8's total of only 4 low-section doors? 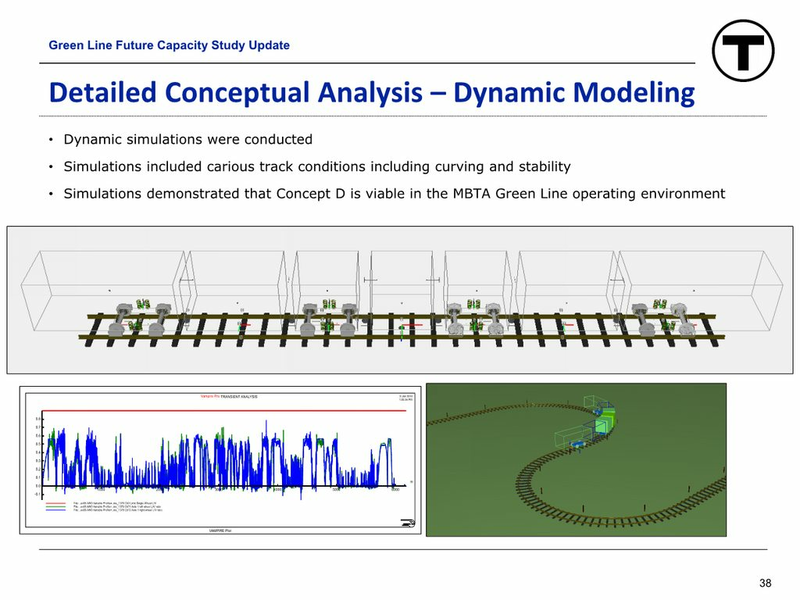 It seems like other systems, besides having square noses (with no door), have longer unpinched low floor sections between the center bogie and the front/rear bogie/nose, allowing them to have a longer, full-width low-floor section, which seems like a longer wheelbase (and longer turning radius). 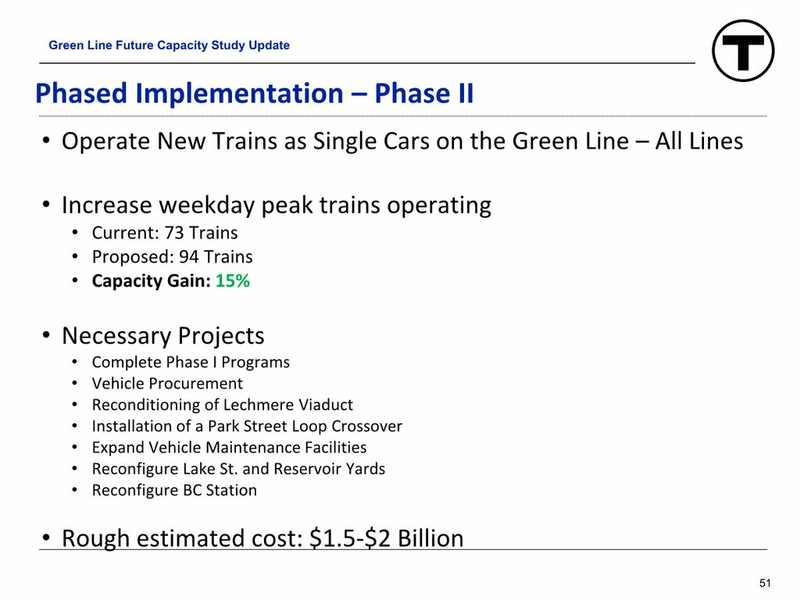 Does that mean we won't see these on street running portions of the E Branch? The fold out doors present the warning message to drivers that they must stop for disembarking passengers. 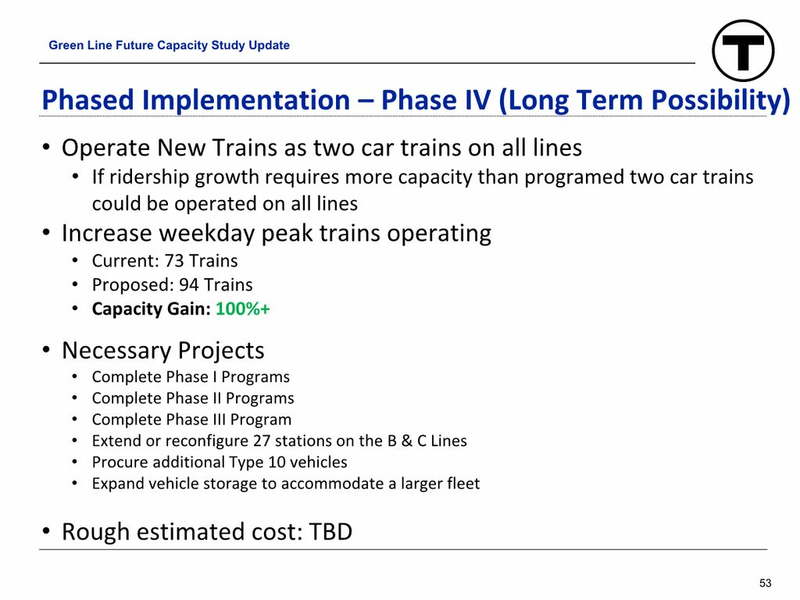 How would these cars provide such notice? 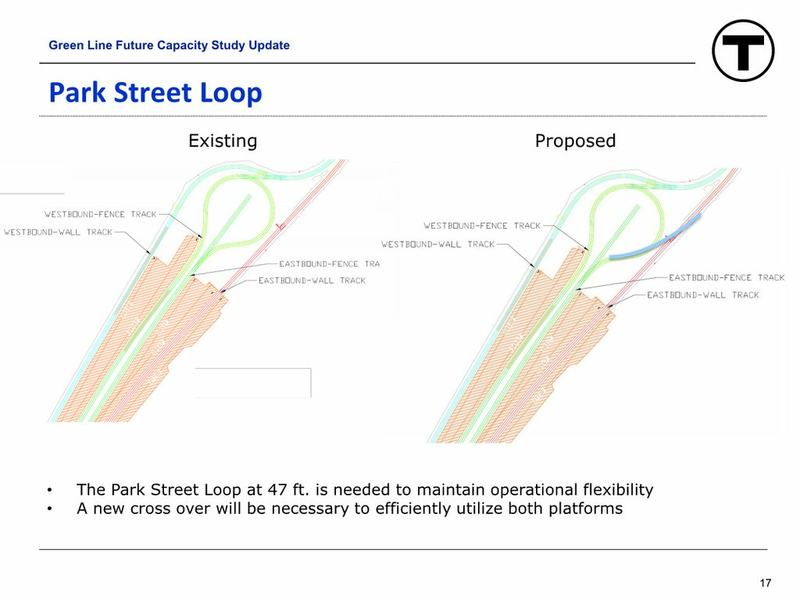 Here's one of the design proposals that the MBTA once toyed around with. Looks like it was for the Type 8's. Last edited by Jahvon09; 01-16-2018 at 08:26 PM. Installing school bus style stops signs might be a lot more effective. People might not quite be expecting to find those on a Green Line train instead of a yellow school bus, but I think drivers everywhere in this country do learn about school bus stop signs. 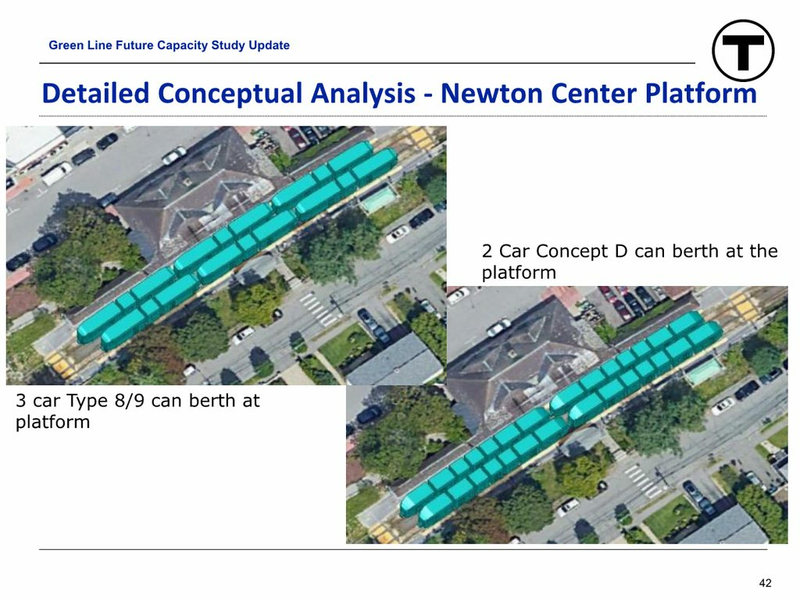 Better yet, we could build proper wheelchair accessible boarding platforms that would eliminate the need for passengers to cross the travel lane while the train is stopped at Mission Park and Riverway, and eliminate Fenwood Road and Back of the Hill. Thanks buddy, for doing this upgrade! This helps to put a whole new light on things. 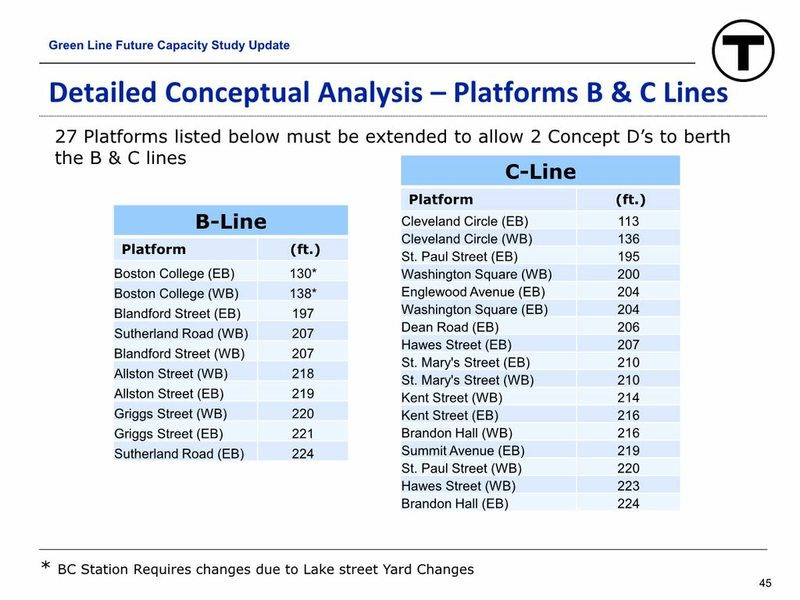 The MBTA is really planning to make commuting smooth for everyone, I think. 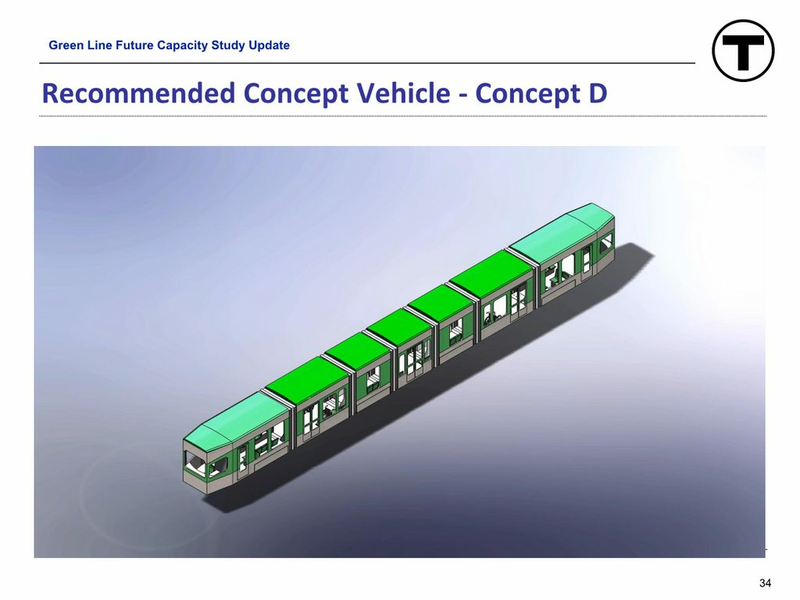 I love those renderings of how the vehicles may look. They need to get away from the current design & go with something new & fresh. The idea of no stairs to climb sounds good to me! 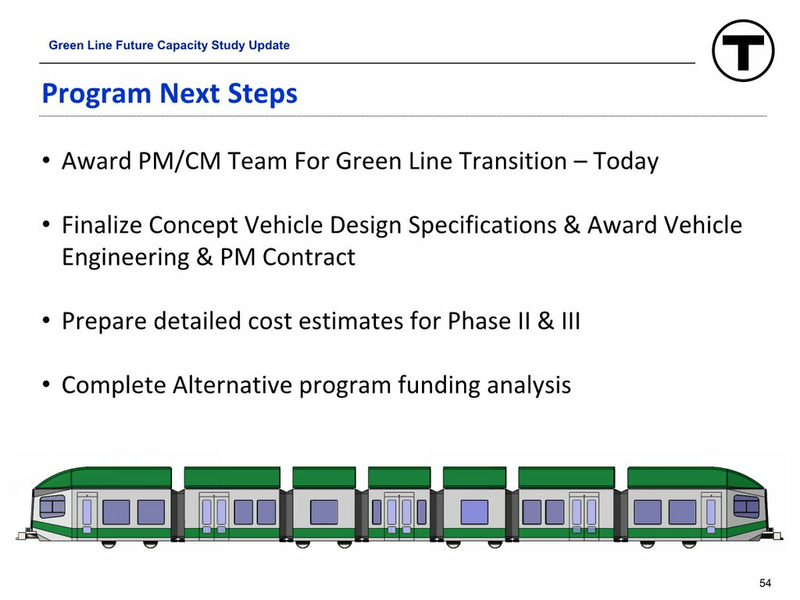 MBTA is Considering a Complete Green Line Replacement. 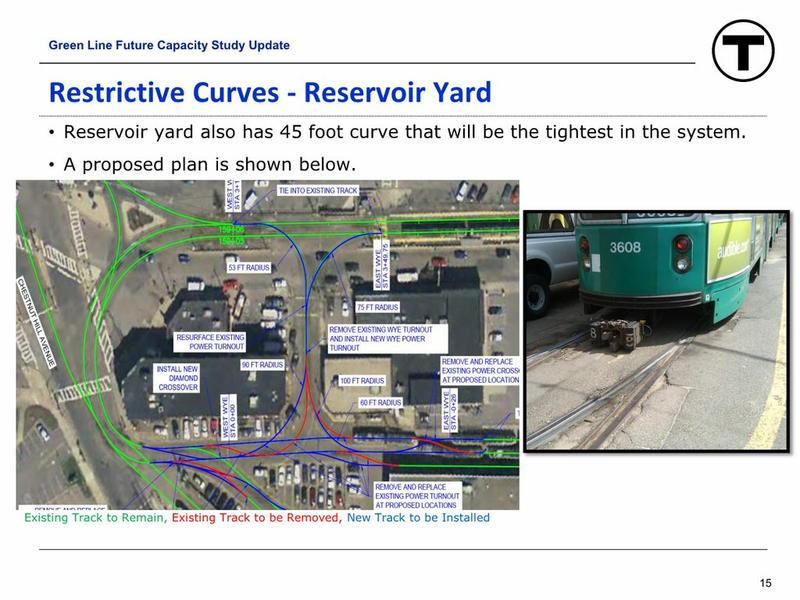 The MBTA is planning to replace all trollies on the Green Line in the next decade or so. 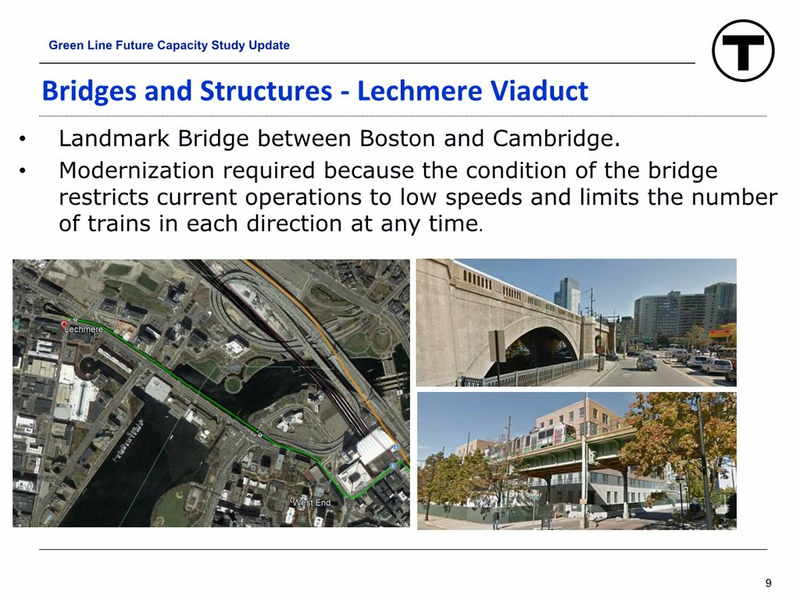 I believe this already has a thread - the Green Line Type 10 Procurement (http://www.archboston.org/community/...ead.php?t=5585). 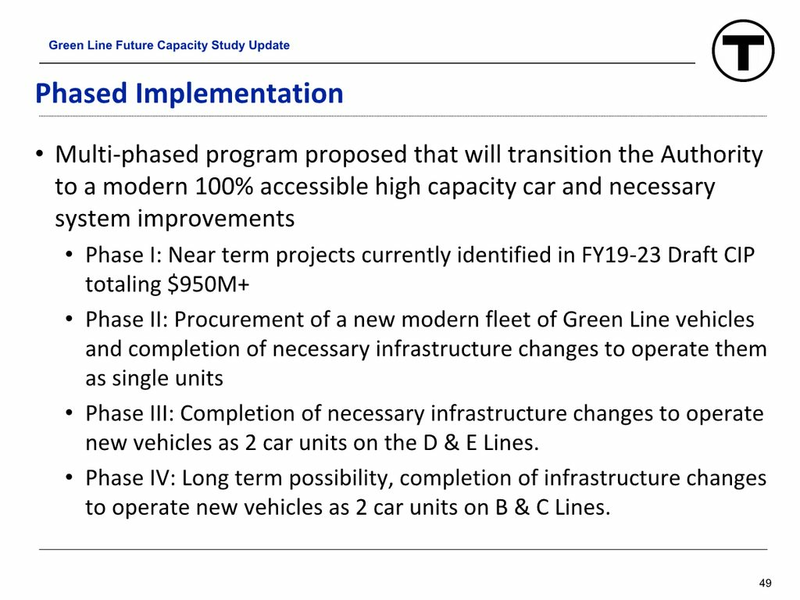 They are planning to procure newer longer trollies & they don't even have a co that is planning to make them yet.